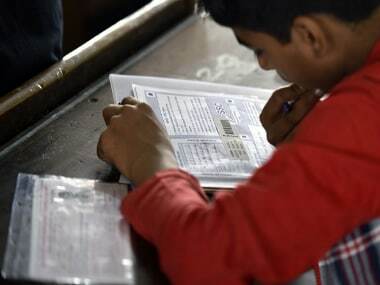 The Central Board of Secondary Education (CBSE), which has declared the results of compartment exams 2018 for Class 10 and Class 12, has now allowed candidates to apply for marks verification, re-evaluation and to obtain a photocopy of evaluated answer copies. Around two lakh students appeared for Class 10 and Class 12 compartment examination that was held from 16 to 24 July and results were declared on the Board's officials website cbseresults.nic.in. To apply for verification of marks, candidates need to deposit Rs 500 per subject. 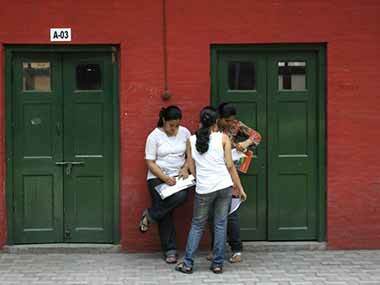 The result of verification will be uploaded later on the CBSE website. In case of change in marks, the CBSE's regional office will send a formal letter to the applicant by speed post. Only the candidates who have applied for marks verification will be eligible to apply for obtaining photocopy of the evaluated answer books. The candidates will have to submit Rs 500 per subject (class 10) and Rs 700 per subject (class 12). Candidates can apply online by 27 August to obtain photocopy of evaluated answer sheets and the fee can be submitted by 30 August. For verification, students can apply online till 17 August.